Download this paper and learn how to boost employee performance! To be successful, public sector employers must direct the actions and competencies of all employees toward achieving the greater purpose of the organization. This dedication to goals guides an organization’s efforts to motivate employees and to support their personal and professional growth. 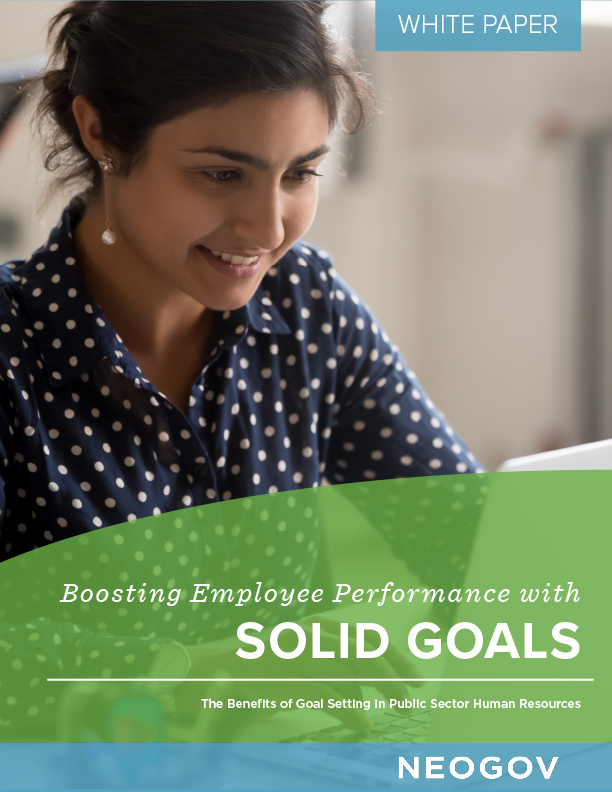 This white paper will help you adopt a goal-setting approach to employee development that offers benefits to employees, management, human resources, the organization, and the community the agency serves.